He was so scared he was trembling — but now he's finally starting to feel safe again. The baby bear was only a few months old, and he should have been living in the forest with his mom. Instead, a man was dragging him on a leash through the streets of Gyumri, Armenia, as if he were a pet dog. A few concerned onlookers snapped photos of the baby bear, who was trembling with fear, and sent the images to the teams at International Animal Rescue (IAR) and the Foundation for the Preservation of Wildlife and Cultural Assets (FPWC), two organizations that rescue bears in Armenia as part of an ongoing project called the Great Bear Rescue. 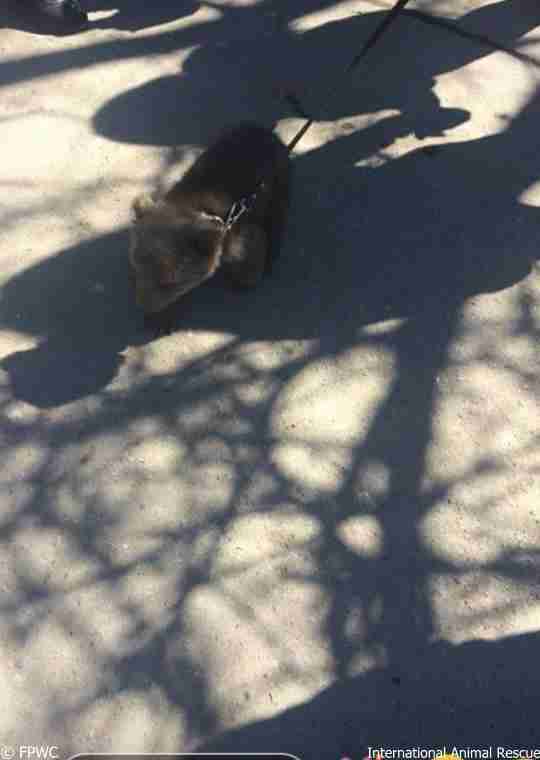 Rescuers were able to track down the man who had the baby bear, who eventually agreed to surrender the tiny animal. 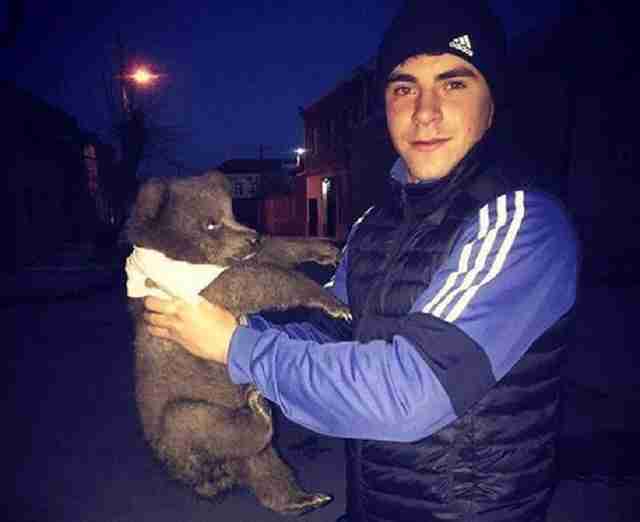 Keeping wildlife in captivity is actually illegal in Armenia, so he would have been breaking the law by keeping him. 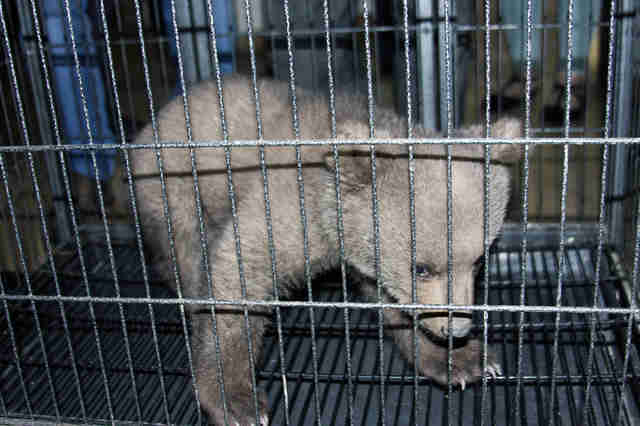 When the rescue team finally saw the baby bear, whom they named Leo, he was still shaking with fright. Besides the trauma of being pulled around on a leash, Leo had probably seen hunters kill his mother right in front of him, which would have left the baby animal deeply traumatized. After that, the hunters would have taken him into captivity. Leo was now in safe hands with his rescuers, but he was very malnourished and dehydrated. Initially, no one was sure if he’d survive. 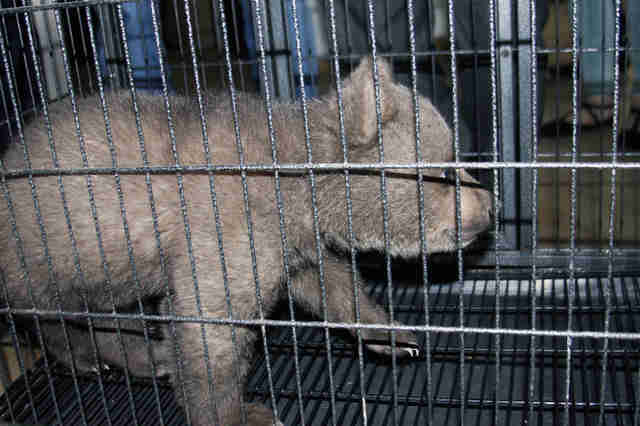 However, the rescuers did everything they could to help Leo, and the little bear is starting to regain his strength. Sadly, Leo’s situation is far from unusual. It’s estimated that more than 60 bears are being kept in captivity throughout Armenia — some are displayed as attractions at restaurants or tourist hotspots to “entertain” guests, while others are hidden away in dark warehouses. But things are slowly changing in Armenia, and the teams at IAR and FPWC are working to save as many bears as they can. In Leo’s case, it was the internet that helped save his life. The teams at IAR and FPWC hope that Leo will get to return to the forest someday — and that the forest will be a much safer place than the one from which Leo was stolen. To help Leo get better and eventually return to the wild, you can make a donation to IAR.